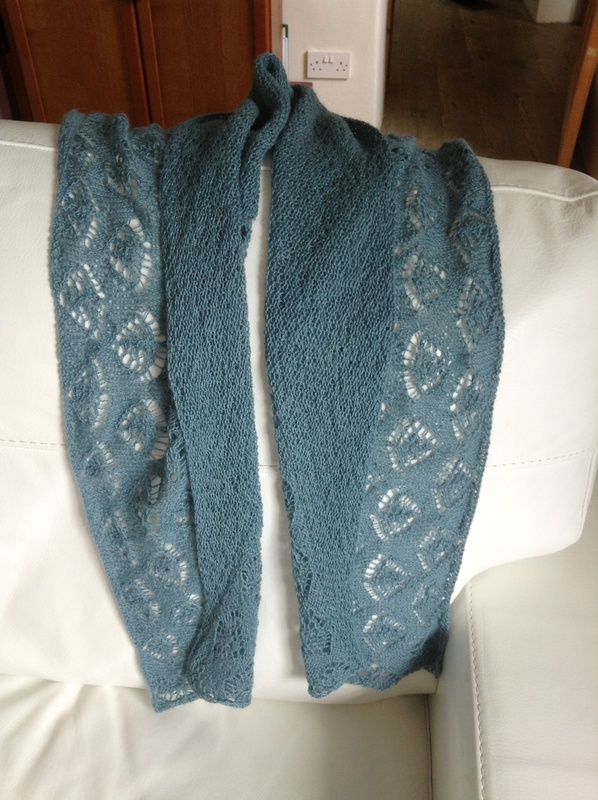 Finally finished my shawl and just in time for my holidays just the tithing to keep out the sea breeze. 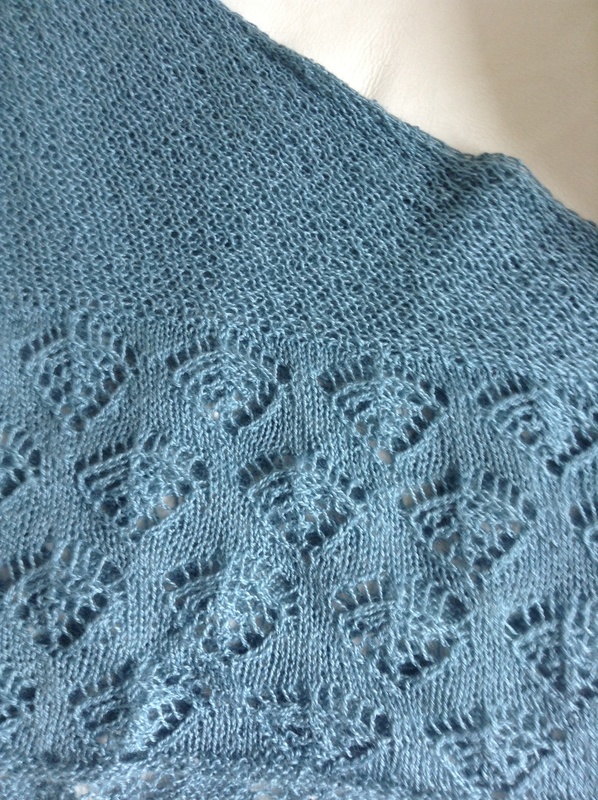 The Rooster yarn is beautiful and the Jellyfish design lovely. Although not a difficult lace pattern kits not one to do and watch the TV, at the start the long rows could take over an hour and more. Unusually this took quite a few weeks and my husband thought it was great as for little yarn cost I was busy for ages – probably stay of the chunky yarn for a while!